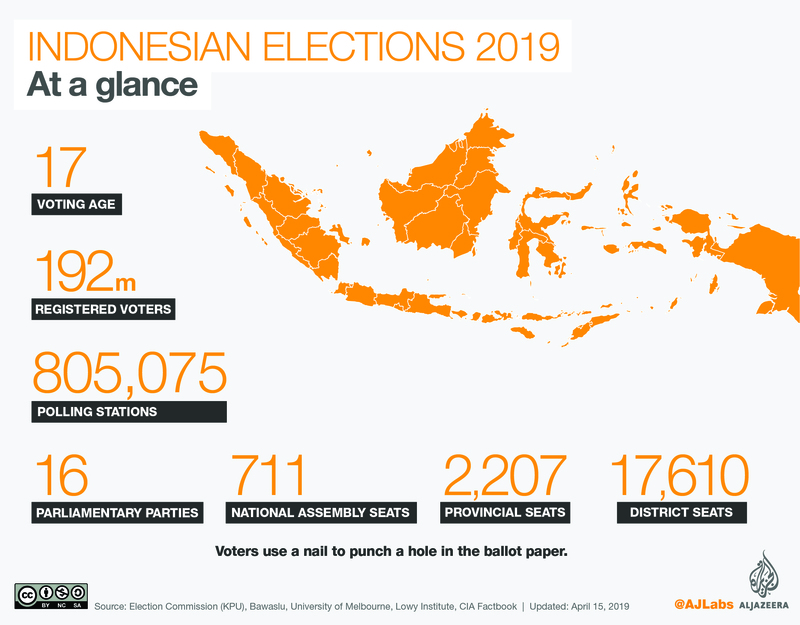 Voting has ended in Indonesia’s presidential and legislative elections, with tens of millions of people casting votes without any widespread hitches. Preliminary results based on so-called “quick counts”- votes publicly tallied at polling stations are expected to start rolling in within two hours. People in two districts of Jayapura, the capital of volatile Papua province in Indonesia’s east, were unable to vote after ballots and ballot boxes were not delivered. Theodorus Kosay, chairman of the province’s election commission, said the problems arose because of the delays in replacing damaged ballots and lack of volunteers. The election in the two affected districts was postponed until Thursday. 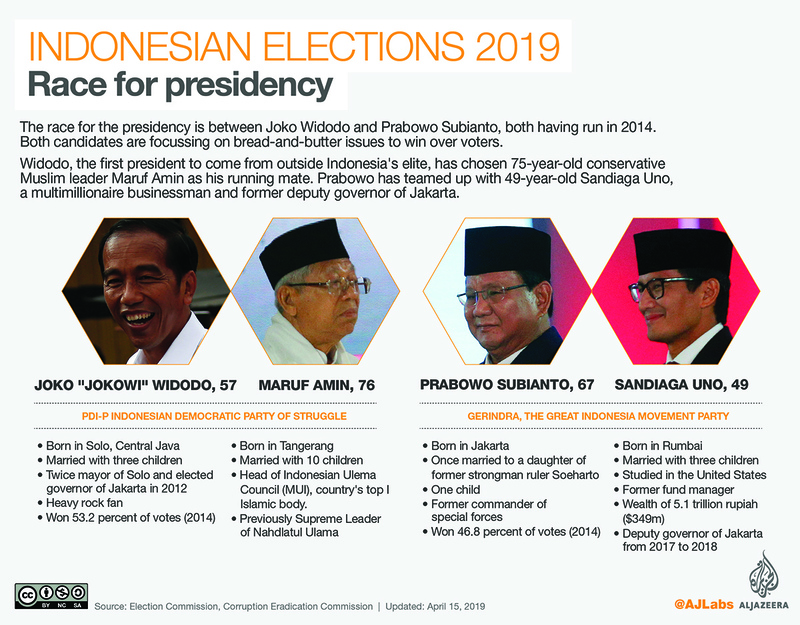 Prabowo, who has been accused of human rights abuses, ran against Widodo in 2014, while Uno is a businessman who spent a few months as deputy governor of Jakarta, after the mass rallies against Basuki Tjahaja Purnama (also known as Ahok) who was accused – and later convicted – of blasphemy. “Even though some people are apathetic, I think it’s important to vote for Indonesia’s future. Vote with your conscience,” said Hadi Wiguna, who was queueing to vote at a polling station in central Jakarta. Al Jazeera’s Wayne Hay, reporting from Jakarta, said the overall turnout was likely to be more than the traditional 70 percent. However, the opposition has already alleged voter-list irregularities that could affect millions and has vowed legal or “people power” action if its concerns are ignored. “We are very concerned, we hope and we pray that today’s election will be fair and peaceful, it will be peaceful if it’s fair. Hopefully, the will of the Indonesian people, will be heard today,” said Prabowo after casting his vote. The country’s election supervisory board has recommended a revote for Indonesians in Malaysia and in Australia, where several hundred registered voters were still standing in line after the polls closed there on Saturday.